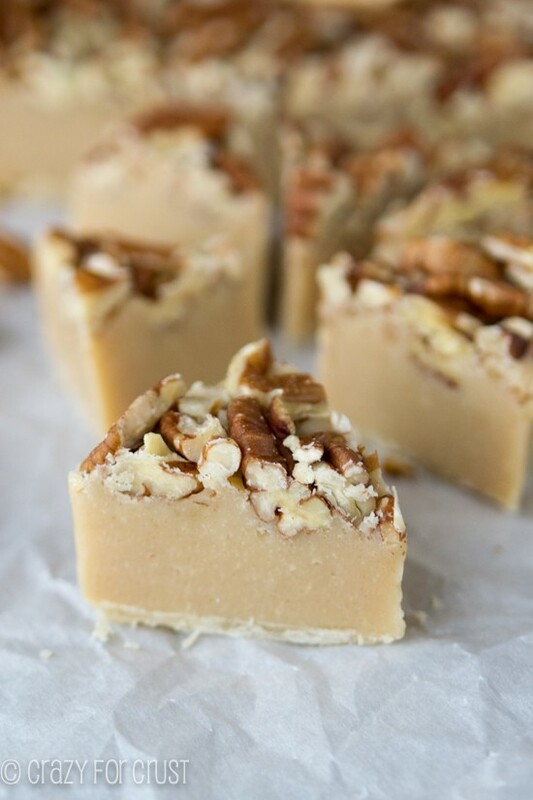 If you’re looking for an easy last-minute fudge recipe, this is the one for you. All you need are chocolate chips and a secret ingredient to make this recipe! Are you wondering what the second ingredient in this recipe is? I hope so, because it’s what makes this fudge so easy to make. 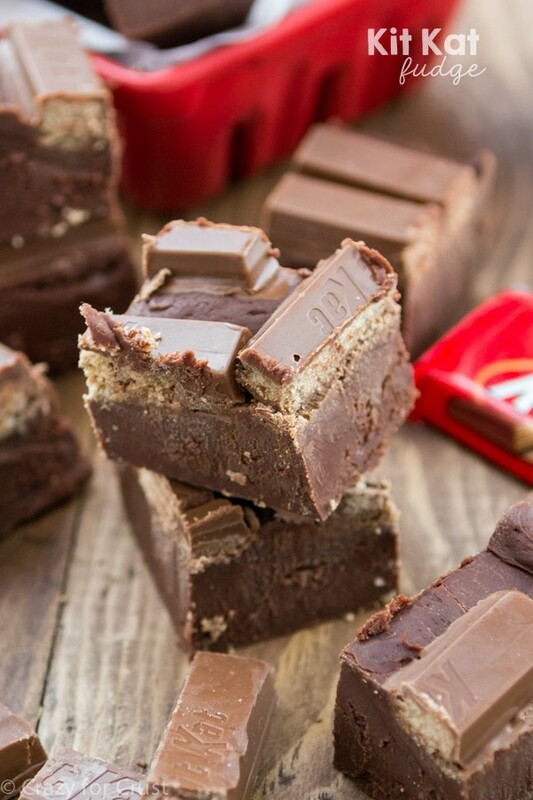 How can you make fudge with only 2 ingredients? By using FROSTING. That’s right, frosting. A simple can of frosting can help you make easy fudge even easier! I have had this fudge recipe in my head for about 5 years. It started back when 2 ingredient frosting fudge broke the internet shortly after I started blogging. I always wondered: what would fudge taste like if I used German chocolate cake frosting? Now I know: heaven. It tastes like heaven. I absolutely love German Chocolate Cake frosting. I can eat it with a spoon (and, in fact, I did when I made it for my German Chocolate Brownies). I also love the stuff from the can because there is something about not having to spend all the time making it that makes it taste so good. 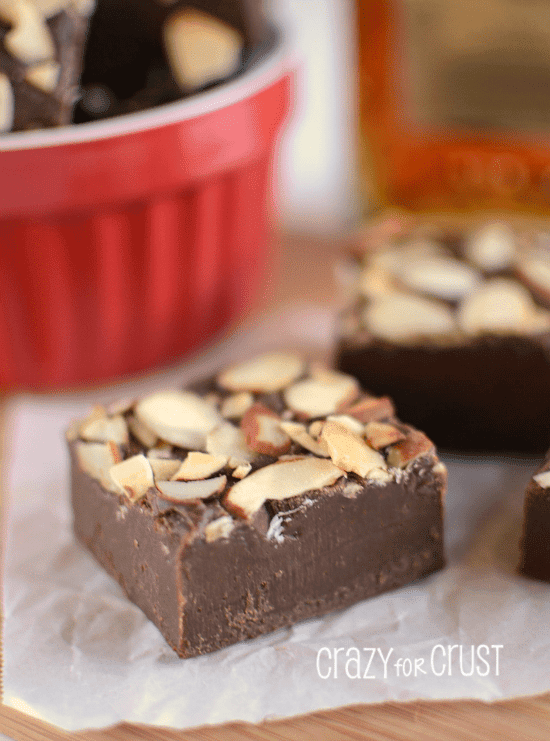 Two ingredient fudge is extra easy to make and I actually like it more than the other easy fudge recipe. Since you’re using a can of frosting, the flavor combinations are kind of endless too. …and German Chocolate with milk chocolate! 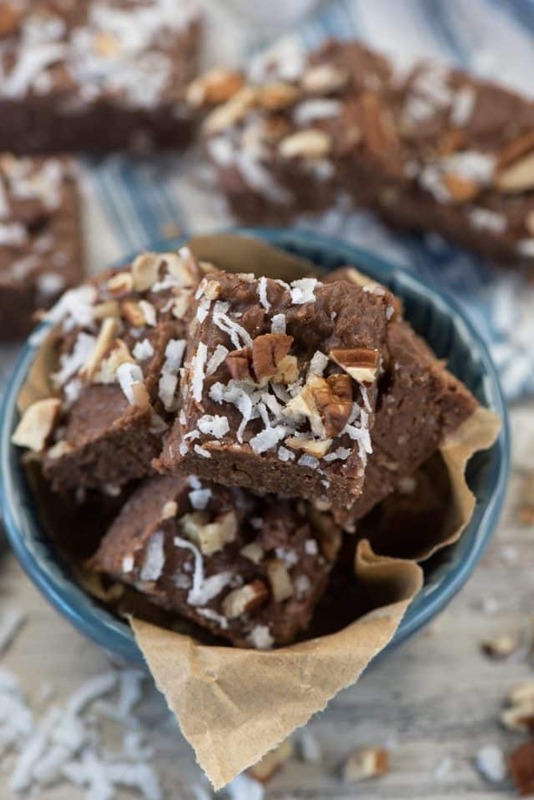 Really, the sky is the limit for this easy fudge, making it the perfect last minute recipe. If you’re in need of a quick candy recipe, this is it. 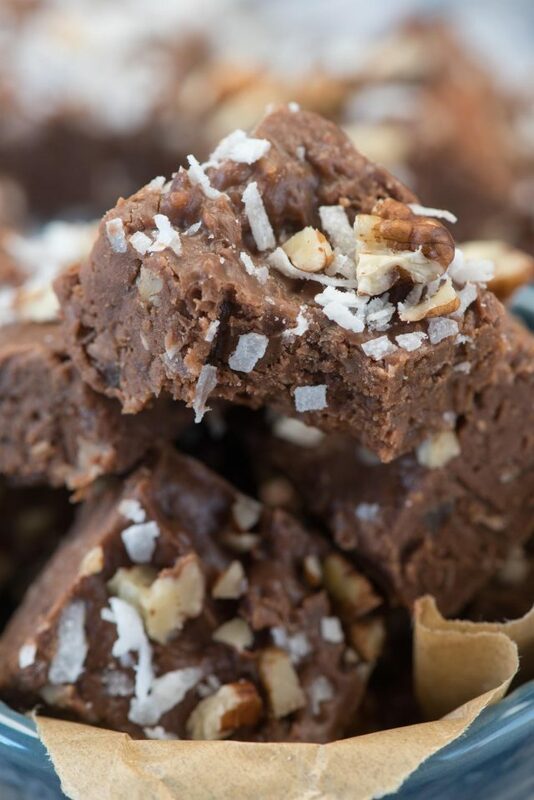 Coconut Pecan Fudge (aka German Chocolate Fudge) is an easy 2 ingredient fudge recipe! I also love how fudge lasts when stored in the refrigerator (sealed in an airtight container). That means I can make it ahead of time and not be rushing at the last minute to make candy! Always have your ingredients prepped and ready to go. Fudge making goes fast! Use a 9×9 or 8×8-inch pan. Those are perfect for making 1-inch squares of fudge. Feel free to add toppings or add-ins as you like. For this recipe, I added some coconut and pecans so the flavor combination was obvious. You can let this set up on the counter if it’s cool in your house, otherwise, refrigerate it. Line a 8x8" or 9x9" square pan with foil and spray with nonstick cooking spray. Melt chocolate chips in a microwave safe bowl for about 2 minutes, stirring every 30 seconds until melted and smooth. Stir in frosting. Press into prepared pan. Top with coconut and chopped pecans for garnish (optional). Let set then slice into squares. 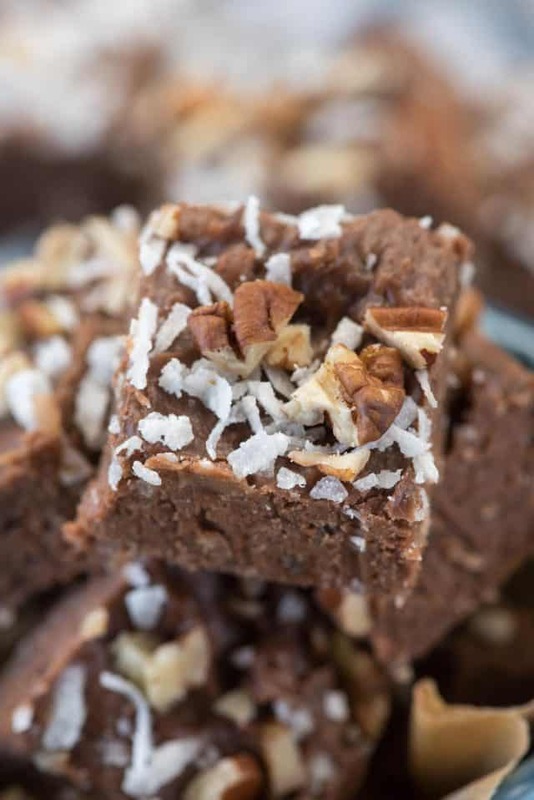 Check out all my favorite fudge recipes, including the ones below. I also can’t wait to try Mary’s Vanilla Walnut Fudge, the Bailey’s Fudge that my friend Lisa makes all the time, or Trish’s Triple Chocolate Turtle Fudge. I’m dying here. But what a way to go. This is heaven! Frosting, fudge, yes to the EASE of this recipe!